On this date in 1784, Count St. Germain died. He allegedly was born in 1707 - the exact date unknown perhaps to give him a more mystical persona - his background obscure. Towards the end of his life he revealed that he was a son of Prince Francis II Rakoczi of Transylvania. 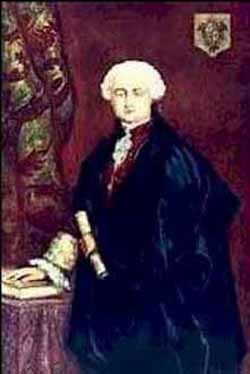 His name has occasionally caused him to be confused with Claude Louis, Comte de Saint-Germain, a noted French general, and Robert-Francois Quesnay de Saint Germain, an active occultist. There is much to say about this enigmatic figure, whose teachings are channeled by people who see him as an ascended masters a concept that goes back to the beginning of our reality in one mystical form or another. 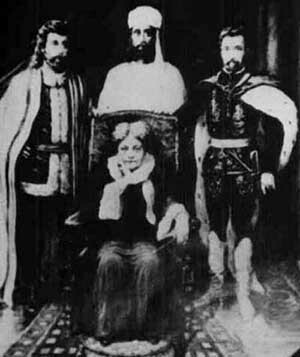 In the 19th century Helen Blavatsky popularized the concept by defining ascended masters as a group of souls who allegedly earned their right to ascend and return to Earth from time to time as teachers. 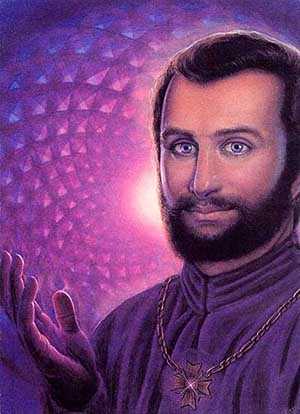 According to Blavatsky, one of the most popular ascended masters of was St. Germain - perhaps someone you connect with or have channeled yourself. In physical reality St. Germain was a mysterious individual reputed to be a "magician" who flourished in France and was widely known among the aristocracy just before the revolution of 1789. He was allegedly an ascended master, which is believed to explain his reputed magical powers. 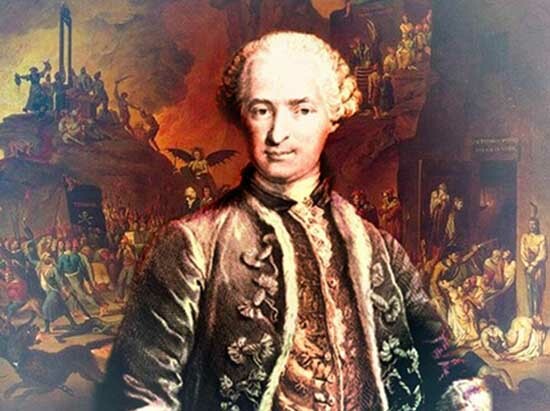 Secret societies were the fashion in pre-revolutionary France, and some of them recognized Saint-Germain as an 'adept' one who knew the ancient wisdoms hinted at in the rites of the Freemasons, Rosicrucians and the Knights Templar. 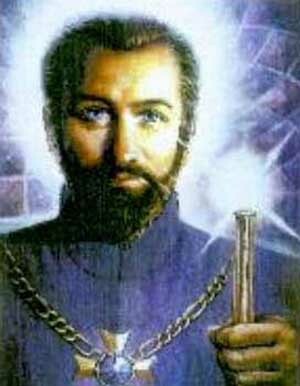 St. Germain has been variously described as a courtier, adventurer, charlatan, inventor, alchemist, pianist, violinist and amateur composer, but is best known as a recurring figure in the stories of several strands of occultism - particularly those connected to Theosophy and the White Eagle Lodge, where he is also referred to as the Master Rakoczi or the Master R, and as one of the Masters of the Ancient Wisdom, and is credited with near god-like powers and longevity. Some sources write that his name is not familial, but was invented by him as a French version of the Latin Sanctus Germanus, meaning "Holy Brother." 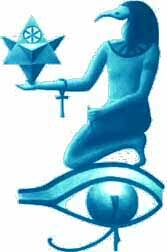 In the consciousness hologram (simulation) of our reality, everything reverts back to the beginning, secrets and secret societies, ancient Egypt, and that fact that our reality is an biogenetic experiment set in linear time to experience emotions. 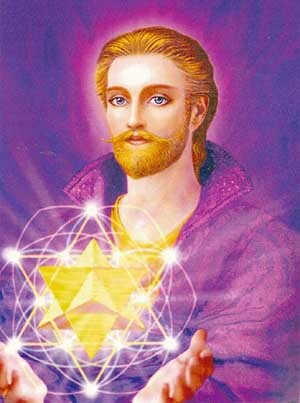 Within the hologram St. Germain played the roles of all of the pantheons of gods, all of the ascended masters, all of the prophets, notable magicians: Thoth, Hermes, Merlin, Tehuti High Priest of Atlantis, Jesus, other god/savior figures, and many other famous characters throughout history. He spoke every language, possessed the powers of teleportation, telepathy, and more. He is linked to the concept of Ancient Alien Theory - gods who created our human biogenetic experiment. His etheric retreats are allegedly located over Transylvania in Romania and Table Mountain in Wyoming. 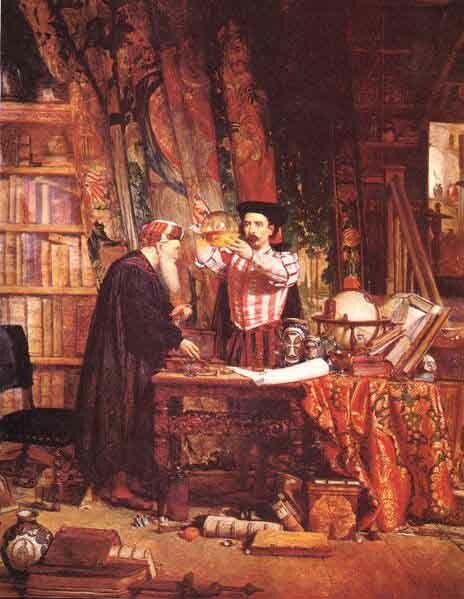 concept of the ascension of consciousness in the alchemy of time. 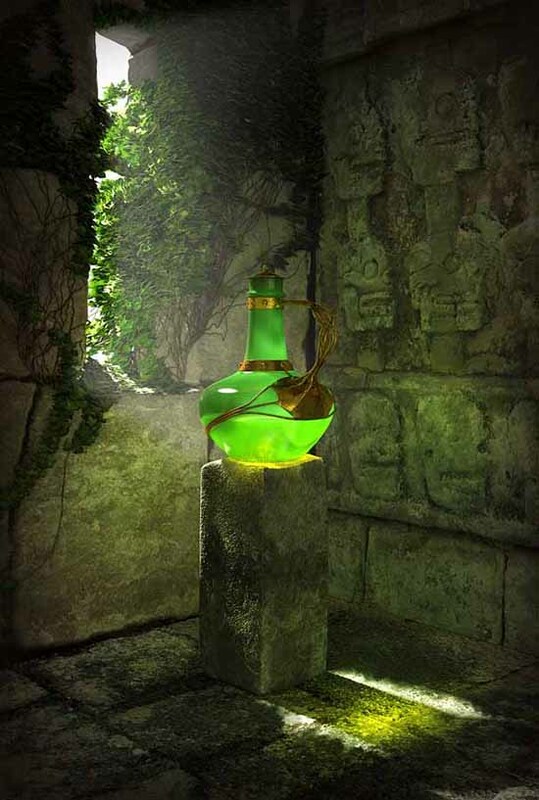 lay hidden in a place which depicts Earth's final destiny.